Classical Conversations has added joy and purpose to our homeschool. Two years ago I was tired, frustrated, and wondering if my oldest would need to attend middle and high school. Our family was searching for structure, accountability, and a challenge. We received all of that (and more) when we joined our local Classical Conversations community. 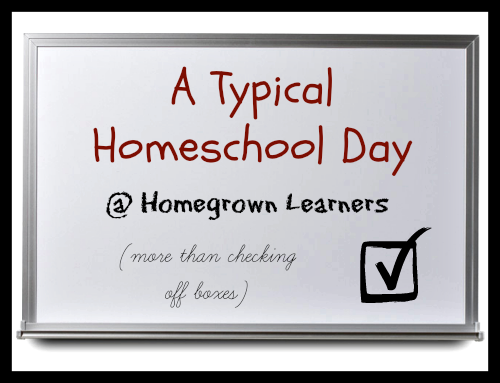 For our family, a routine is key to a successful homeschool experience. Children long to know "what comes next". They want to know their teacher (that's you, mom!) has it all under control. I know on many days this might seem next to impossible, but with a few up front investments and training of your children, your homeschool can run somewhat efficiently, even on those days when life isn't so efficient.